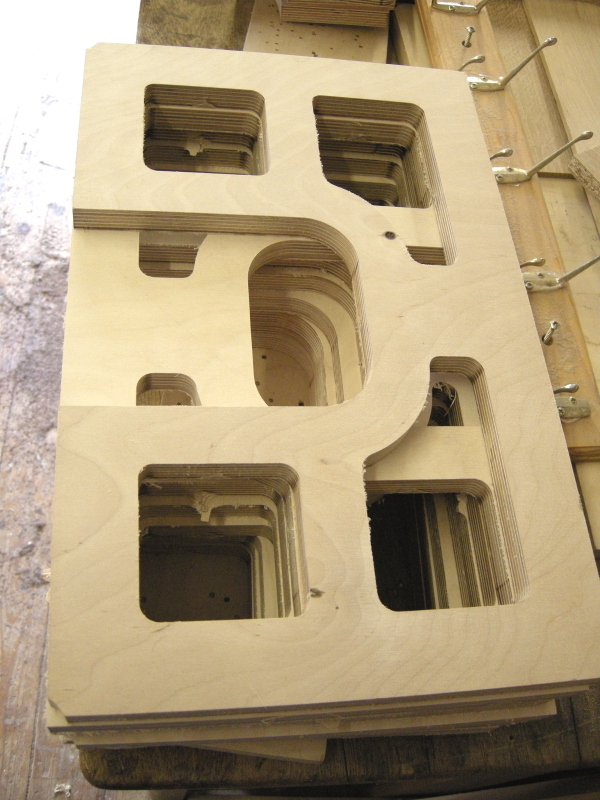 Continuing the insight into how each pair of hand crafted Reference Rhapsody Loudspeakers are made, this post looks at some of the timber work preparation. Each pair of Rhapsodys is individually hand built to order using only selected premium grade timbers, using great care and attention to detail. The cabinets are made from slow grown Baltic Birch Ply and only premium grade veneers are selected for customers wanting a veneered finish (the standard Rhapsodys are self-finished and no poorer for that in appearance). In this case, we have a pair being constructed and finished in American Black Walnut, and this includes dedicated solid Walnut stands. 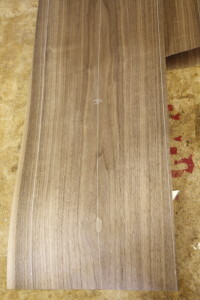 Veneer is unrolled and selection of which sections go into each panel are made. This includes book-matching for the wider front and rear sections. 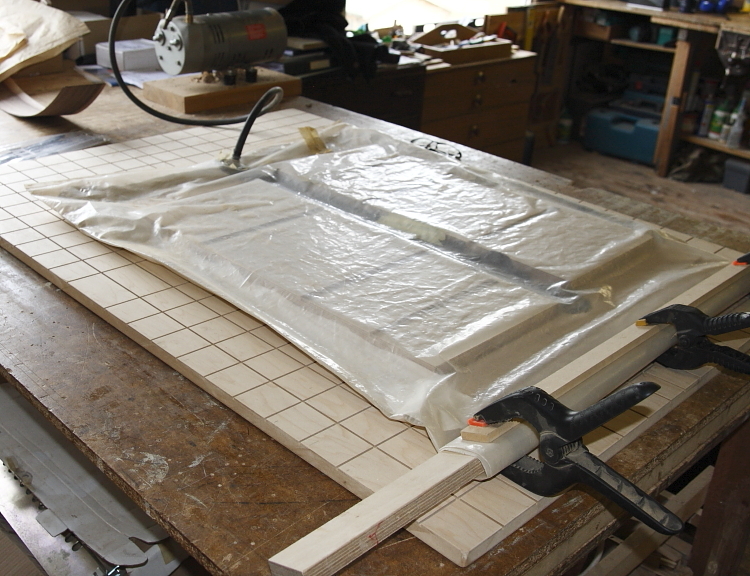 The veneer chosen consists of half a dozen consecutive sheets each one about 2.3m in length and about 400mm wide. The veneer for the side, front and rear panels is selected by examining grain, and choosing sections such that the grain patterns “point” upwards for visual balance. 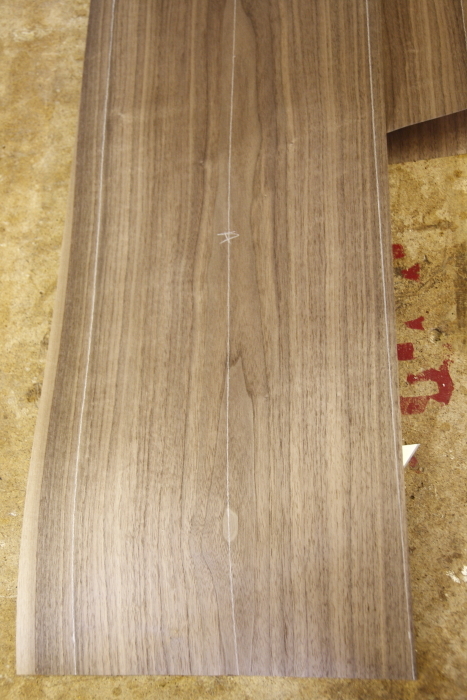 the centres of each pattern are marked out for centering on the side panels. All of the panels are veneered in the same way. So that full control can be had over quality selection and orientation of grain, each frame starts like this, as a plank of rough sawn premium Walnut. This involves marking out the timber in its raw state from a plank of around 2 cubic feet, rejecting any part which contains defects such as shakes. 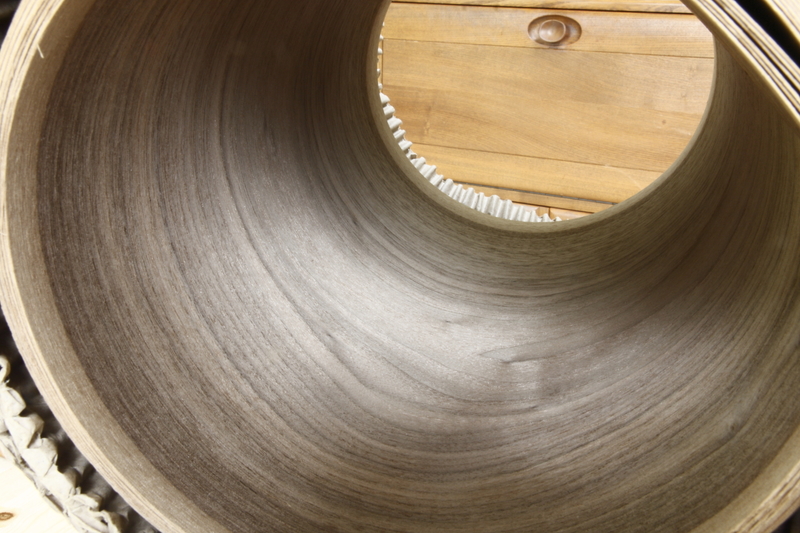 Only timber with little or no sapwood is selected. Walnut plank in the process of being marked up with selected timber cuts for the external frame. 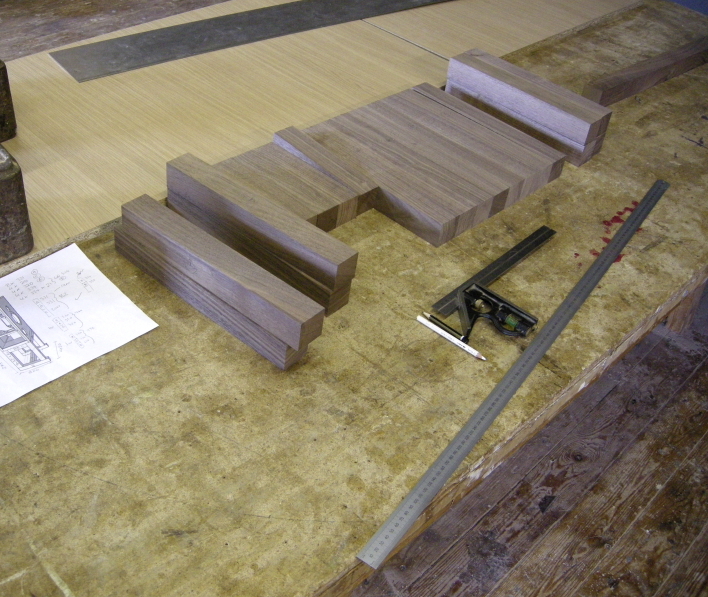 Similar attention to detail is undertaken when selecting and working on the timber for the stands. 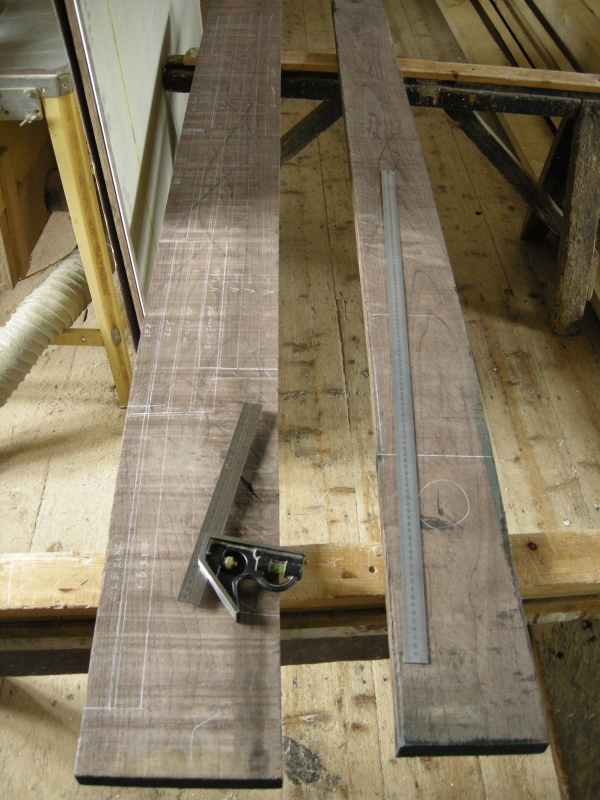 These begin life as consecutive planks of premium Walnut (in this case) which is cut roughly to size then accurately planed the the final size before being cut to exact length. Each piece is examined for defecst before being marked up so that book-matched sections are chosen for the sections of frame visible from the front, in order to maintain visual harmony! The next post will look at how the individual pieces come together to form the assembled cabinets and stands prior to finishing works.